Parents envision a bright future for their children. Make sure to do some smart financial planning so that your child's future is secure. Follow these steps to provide security to your child! Identify the requirement: The first step should be to identify the needs of your child. There is more cost associated with child education then only the school fee. Extra classes, Transportation, Extra Curricular activities etc. are cost which parents have to incur for upbringing their child. When these associated costs rises, the cost of the child education takes more than 60% of the housing budget. Moreover, the rise in the cost of education with a rate more than inflation, along with resulting decrease in value of money make planning more difficult. Identifying the exact requirement will help in knowing the savings required for reaching the desired goal. Have adequate protection: The biggest worry for the parents is the future of child when they are not there. Although child insurance plans provide financial protection in case of any unexpected happening, the product requires a very high contribution for availing higher insurance coverage. The wiser approach is to assess your insurance needs and then buy the adequate coverage. A pure term policy is a very cost effective means for getting a high insurance cover. Also, ensure that you have a good health insurance to protect yourself from medical emergencies which may arise in the future. Start early: The planning should start with the birth of a child. Instruments such as Equities and PPF, which generate good returns, demands a longer horizon for investment. By early stage planning the savings requirement gets reduced giving room for planning for other life goals. Since emotions play a bigger role in planning for child future, any delay can strain your finances forcing you to overlook other financial goals which are equally important. Follow asset allocation: There are many investment avenues and each one has its risk-return characteristics. This sometimes creates more confusion leading to investment mistakes. 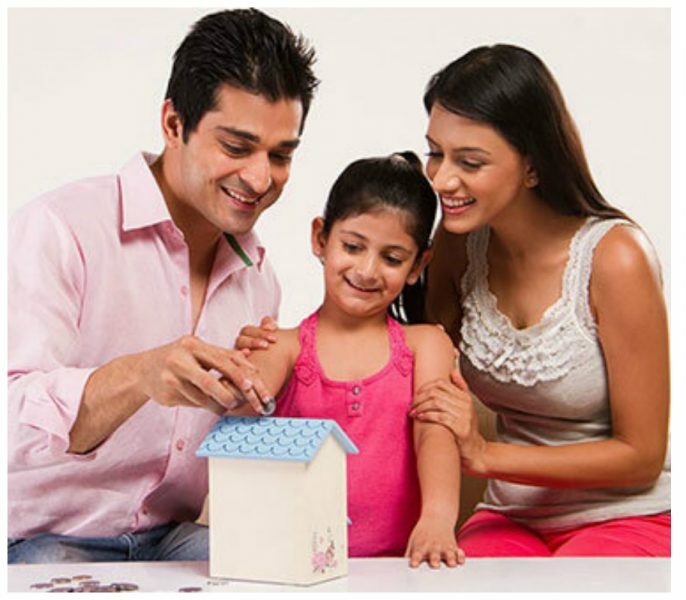 Equities, Debt MF, PPF, Gold, & even FDs have a role to play at various stages of your child growth. Asset allocation is an appropriate strategy which not only helps you in choosing the right mix of these asset classes; it also manages your investments more efficiently. Write a will: You nominate your child in all the investments believing that he will get the desired money when you are not there without any hassles. However, a nominee is only a custodian of your money. To ensure, after you the child receives the benefits as you have planned, write a will giving details of your wishes. The will should be simple, comprehensive, & clear to avoid any disputes in future. Teach your kid about money: Our personal finance decision evolves from the learning’s we have gone through during our upbringing. Remember the Piggy Bank. It is the first step which inculcates a behavior of savings for the goals from your limited earnings (Pocket Money).